Fifty simple craft projects using readily available materials – paper, card, pens, glue and so on. Projects include making party masks, paper flower bracelets, pirate bunting, an octopus mobile, marzipan toadstools, a sparkly wand and lots more. A great way to learn new techniques and spark creative ideas - simply follow the illustrated, step-by-step instructions to create satisfying results. 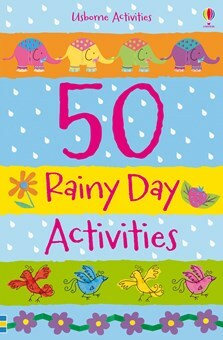 A free, printable activity sheet taken from 50 Rainy Day Activities.